Paul Wiltgen – Musician | Paul Wiltgen, Luxembourg native, Brooklyn based musician, drummer and composer. Official website including the latest news, videos, audio tracks and photos. 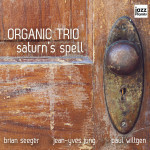 • ORGANIC TRIO – SATURN’S SPELL is now officially released on JAZZ FAMILY. Available on all the usual online platforms. The album made it to #2 in the JazzWeek Charts in the USA and stayed in the top 10 for 6 weeks. Also announced as “MUST TSF” on Radio TSF JAZZ in France. 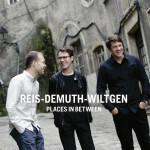 • After their concert with featured guest Joshua Redman at Festival Printemps Musical in 2016, REIS/DEMUTH/WILTGEN will tour in Europe with Redman in March 2018. This tour includes a performance at the Philharmonie Luxembourg on March 16, featuring the music of Reis/Demuth/Wiltgen arranged for the Orchestre Philharmonique du Luxembourg by multiple Grammy Award winning composer and conductor Vince Mendoza.